Message from Hershey’s family: I got a call about 1am last night from a person who believed to have my dog. She told me she was sent the facebook post from Lost Dogs IL & believed she had my dog. We talked over the phone a little & exchanged pictures & sure enough it was my Hershey ! I want to thank Lost Dogs IL for the outstanding work & I want to thank everyone else who helped. Also a very special Thank you to the woman who re-united me with my baby of 7yrs ! I couldn’t thank you all enough. Message from Buddy’s family: I cant believe it took minutes from his picture being posted to the time we received a call stating they had picked him up from my neighborhood by someone from the animal control. They even posted a picture! Message from Nikki’s family: I cannot thank you and Lost Dogs of Illinois enough!! If it wasn’t for your Facebook site I never would have received the first phone call telling me where Nikki was sighted. From that initial phone call with the help of residents in the neighborhood where she was sighted I was able to get my precious Nikki back home. Your organization is just too wonderful for words. Message from Sasha’s family: “I was at work when Sasha got loose so she was missing for over 5 hours by the time I got home. I thankfully have a lot of awesome friends in my life who instantly started to drive around & look for her with me. There is also an AMAZING community on this FB page & I saw the posting of Sasha got over 230 shares in 45 minutes. Now that is amazing. Anyway some kids found her roaming around & they took her home. Their mother then filed a report with the police station & I got their address that way. As soon as I got Sasha in my car the storm started. I’M SO GRATEFUL!!! Message from Jake & Patches’s family: I just wanted to thank you for posting our dogs pictures to Facebook! Thanks to your post, we have found both Jake & Patches! A neighbor had them all along and had been caring for them until they could figure out who they belonged to.Thanks again for helping us find our furry friends! Message from Dixie’s family:I wanted to send u a msg to THANK YOU for putting together this wonderful site. All these sites that focus on reuniting loved ones with their family pets needs a medal. You guys have done a GRAND job at helping reunite these beautiful lost babies. Personally it has shown our family how many people out there care about animals. We lost our Dixie last wk and i didn’t know about you guys til that night and was overjoyed of seeing how many lost pets you all have helped whether it be here that a good Samaritan took in and search seeing the dog here or from fliers. The effort and dedication you guys give is extraordinary. Keep up the great work and THANK YOU FROM THE MARKS ECKERT FAMILY. Message from one of our fans: What an amazing service you provide!! Previously, we had found a dog, and was able to track down his owner within hours, due to Lost Dogs Illinois. Yesterday, we got a new foster dog. Trixie had squeezed out of the fence, but had found her way back home within hours, all because of Lost Dogs Illinois. Thanks for all you do. This service is invaluable!!! Message from Miley’s family: Thank you to all of you for caring and helping Miley find her way home. I’m still in awe of how quick it was from the moment I posted she was lost. Within 10 minutes, I had over 10 calls and messages with this picture, saying they knew where she was. Thankful for this site and especially to Cindy K. for taking the time and finding us! You guys are awesome! Message from a Good Samaritan: Good job everyone, less than 50 minutes after this posting and over 270 shares, we were able to get in touch with his owners and he was returned!!!! Message from Good Samaritan: The dogs have been claimed:) They should be back home safe and sound with their owners within the hour This page is great and in less than 24 hours it shows it really works. THANK YOU!!! Message from Oli’s family: I just wanted to say how incredibly effective this FB application is. I reported my dog missing on this page after he had been missing for a night and part of the day. I got him back just a mere 7 hrs. after the lost dog post. AMAZING!! Have a great Easter everyone! Message from one of our fans: It was so awesome today!!! I shared the Australian shepherd from roscoe, il last night and my co worker knew the person that found the dog!!! She called the number and got the dog home!!! Awesome site!!! Thanks for all u do!!!! Message from Harley’s family: I used your facebook site that was mentioned by a friend within 45 minutes of the post I got a call from Jade saying she found Harley and Animal Control has him. Harley was only missing for 15 minutes from leaving our house backyard till Jade found him 3/4 of mile away. They didn’t scan his chip correctly and we had to wait till 9am the next day to get him from Animal Control. I’m amazed how well facebook and your site works. Over 850+ shares within an hour. THANKS!!! Message from Hazel’s family: I want to send out a huge hug to everyone especially to Becky A for making the connection between here and craigslist and helping us reunite with Hazel. Your daughter too because you guys made it possible for our family to come together once again. 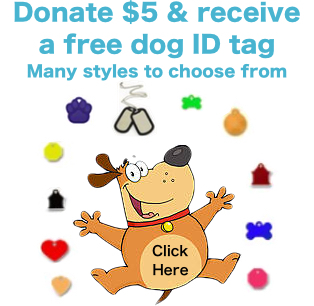 Thank you of course Lost Dogs of Illinois for having this site and making all of this possible. Now to everyone on here from the ENTIRE MURO FAMILY THANK YOU ALL FOR BRINGING LIGHT BACK INTO OUR HOUSE. IT MAKES SUCH A DIFFERENCE TO KNOW PEOPLE ESPECIALLY TOTAL STRANGERS SHOWING US THAT THEY CARE AND FOLLOWED AND SHARED INFORMATION ABOUT HAZEL’S RETURN. IM RAMBLING I KNOW BUT JUST SO HAPPY MY MAMAS IS HOME!! THANK YOU EVERBODY FOR MAKING THIS POSSIBLE! !Message from Baby Girl’s family: BABY GIRL IS HOME!! Message from Unknown family:I would like to say THANK YOU to the countless people who took the time to share and comment about our missing dog! This sort of community cooperation and team work is exactly what fb can be and should be! Thank you LDI u guys are amazing! Momma is happy 2night! Message from Bingo’s family: Got her! Ron is a wonderful person! 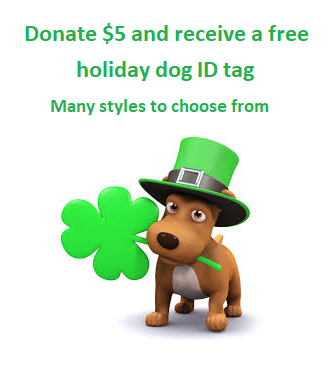 Thank you Ron, the awesome people at Lost Dogs Illinois, and all of you who liked and shared! The world still does have beautiful people in it! Message from Pickles family: Thanks to all for your thoughts, concerns & prayers. This is a great facebook page with not only wonderful information but also wonderful and thoughtful supporters. I feel like I have so many new friends who cared about Pickles and hoped she would get back home. Our new year is so much more brighter and happier. And to Pickles new Uncle Mike who was the one who found Pickles in his backyard and called us when he saw the flyer. Thanks to Kate & Sally for taking the time to look for her. Thanks to Dave for making the flyer and helping us to distribute it. What wonderful people. Many thanks to all. From Daisy’s family: Due to the collaboration of fans and a LDI volunteer, a match was made from a Craigslist ad and the found dog report that was sent into LDI. A big thank you to the Good Samaritan who found Daisy and did the right thing by looking for her family. Message from the Daisy’s family: Daisy was found and is back with my bro and sister in law. Thank you a million times to who found her! Message from the Good Sam: Reunited and it feels so good! Thank you to everyone that helped Daisy find her family. Message from Franklin’s family: “WE FOUND HIM!!!!!!!!!!!!!!! District 26 School Bus Drivers are our heroes!!!!!!!!! A bus driver found him over at the entrance to Chalet Hills and radioed it in that he/she spotted the missing dog! Somebody called my friend Shelley and she called me and we all flew to our cars and drove straight there. We started going slow along the road (holding up Rawson Bridge traffic) and he eventually came bounding out of a gully when he heard Melinda’s voice. We stopped traffic til we could get a hold of him! Yayyyyyyyyyy!!!!! He is bouncing and crying and cold and wet and LOVELY!!! :))))))))) YAY!!!!!!!!! He was in the next little village, after losing his stake, line, and harness. LDI FACEBOOK posts were the biggest reason he was found…everybody told everybody and the whole town was on the lookout!!! 11/27/12 Message from Dakota’s family: I could not believe the number of people who had seen Dakota’s picture on facebook last night and this morning. When I went to hand out flyers this morning, about 90% of the businesses I went to had already seen his picture on Facebook. Thank you so much for all the “shares”. I truly believe it helped me find Dakota! 11/13/12 Messages from Gabby’s family: I’m so happy! This is my cousin’s dog and I had her posted on my page when I just thought about checking this page. I’m so happy she was on here safe and sound. 🙂 🙂 🙂 and Thank you Jessica for finding my daughters dog!! What a great site! God bless you!! 11/1/12 Message From Murphy’s family: “He Came Back To The Place That He Ran From. Murphy Was Found Last Night He Is Home Safe & Healthy! We Read The Articles On The Lost Dog Website About Luring Him Back To The Place That He Ran Away From & He Did! My Dad Slept In The Car There & At About 2 Am He Came Running Up To The Car Jumping On It To Wake My Dad Up! We Are All So Happy & Thank You Again For Your Help!”. 10/31/12 Comment by one of our fans: absolutely LOVE seeing all of the “Home At Last” posts!! GREAT JOB by a GREAT facebook page and AMAZING people!! 10/22/12 Message From Meika’s family: Thank you . Its been a long 2 years and I couldn’t give up trying to find her. We are absolutely over the moon to have her home. Thank you so much for your help and support during our long wait to find her. Please tell everyone as you said, NEVER ever give up hope. 10/21/12 Message From Rosie’s family: If it wasn’t for these girls willing to lose a friend for the sake of “what’s right”, then I would NEVER have seen Rosie again!! Oh, by the way, the mother of the girl who found the dog took Rosie to get Spayed and gave MY DOG to her sister as a gift!!!!!! W.O.W. Prayers and determination to NEVER GIVE UP brings our babies home. Everyone told me to give up after 23 days but keep going! There are so many good animal loving people out there that will support you. Thank you to this site. 9/23/12 Message from Duster’s family: Our dog, Duster, was posted on your site this morning. He has been found (thanks to your website!!!). Thanks, and thank you for your service! 9/23/12 Message from a Michigan dog owner: I am happy to say we got our dog back tonight after 19 days on the run. He did circle back to my neighborhood but didn’t come home. Instead he went to a house and begged for food. When they tried to catch him, of course he ran off. I was devastated because this was becoming a pattern, however, he returned to her house again tonight. She called me and he was wary of me but baked chicken eventually won out.He is very thin, has ticks, quills and lots of burrs but is VERY happy to be home.’Your website is phenomenal. I would have given up hope. 9/19/12 Message from the Basset Mix who was found by a Good Samaritan and reunited because of the page: I am the owner of this big boy and I am so thankful to this site for helping me find my dog last night! Expect a few more likes to ur site cuz I’m spreading the word about it to all my dog loving friends!! Thanks again! 9/13/12 Message from Tawnie’s family: How about just a general thanks for your organization? So far, from what I see, there is some very good organization in the group that allows the information to get to the owners quickly. Also, the network of helpers, volunteers and general dog lovers is invaluable.